I remember it like it was yesterday. My co-founder and I just left Yahoo!’s New York City office. It was October 31st, 2002, and we were happy because Yahoo! asked us if we would go exclusive with them on our yet to be released online service. At the time, Yahoo! was one of the largest players online (think Google today) and they were offering to resell our data on their site, potentially a lot of money that could possibly make or break our startup. We were at it for months with no revenue and without a salary and unable to hire some more talent, so this was a much needed shot in the arm. When we got outside, I called my mentor and our investor to tell him the good news. He said: “ Cool! What minimums did you negotiate?” Minimums I ask? As quickly as I was excited, I was now deflated. The deal we had shook hands on with Yahoo! had the potential to pay well over $1m in six months. Not bad for a startup with no customers, right? Wrong. My mentor went on to explain that if Yahoo! were to get an exclusive reselling deal, or even a non-exclusive deal for that matter, they needed an incentive to hold up their end of the bargain. If Yahoo! miscalculated the demand from their users, if their sales force did not engage with us and actively sell our product, or if market conditions rapidly changed, we could make nothing. That would force our startup to close its doors. In order to create some incentives for the larger party on the other side of any exclusive or non-exclusive contract, you should structure the deal where at the end of the term there is a minimum payment to be made if a threshold is not met. This way you are protected and the larger party has an incentive to uphold their end of the bargain. If the larger party won’t commit to the minimum, they have little faith that they can actually deliver the value that they are promising and that is a bad sign. 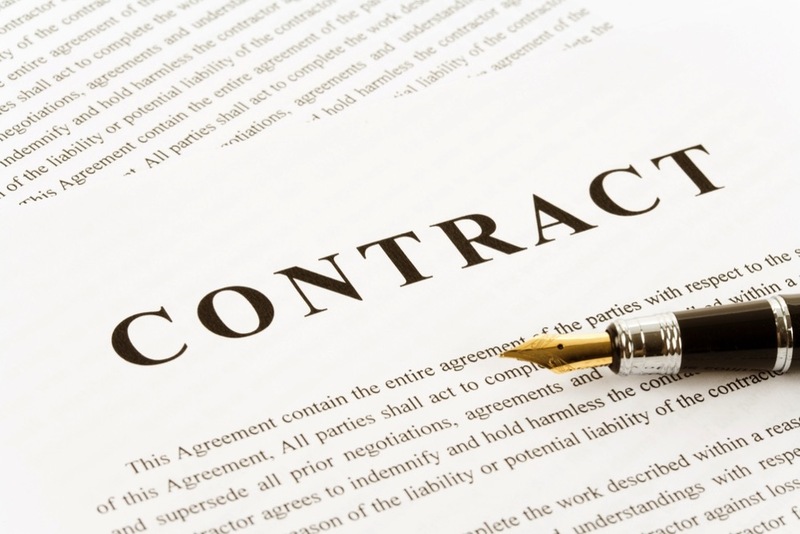 Typically you should ask for and get a minimum of about 20% of the initial agreement. For example, let’s say that you negotiate a contract with a channel partner in India. They promise you $1m in sales per year and want an exclusive arrangement in India. Ask them to “put their money where their mouth is” and offer to pay a minimum at the end of the term if they don’t sell enough. If you stick to a 20% minimum, at the end of the year if they produced no sales, they still pay you $200k. If they produced $100k of sales, they would pay you $100k (the difference between the actual sales they produced and the $200k minimum.) If they produced $250k of sales, they pay you nothing as they have reached the minimum. If the minimum is not enough to cover your costs or offset the opportunity cost of going exclusive, you should not do the deal. If you are a pre-revenue startup and the larger party wants to go exclusive globally for some time, you should also demand that they make an equity investment as well-to show that they are serious and have some "skin in the game". Did Yahoo! Agree to the Minimum? My partner and I went back to Yahoo! and proposed a non-exclusive arrangement and a minimum. They agreed but took a long time to sign the paperwork and get started. In the interim we went to Monster.com, their competitor (we were talking to Yahoo!’s HotJob unit), and signed a similar deal, with a minimum. Within 6 months, we were earning about $1m in revenue from both parties! So glad that we did not go exclusive.